Enjoy the natural beauty of Wattagan Homestead on more than 200 acres of paddocks and bush land with stunning views across the Brindabella mountains. Complete tranquility and yet only a 20 minute drive from Australia's capital - Canberra. Enjoy exclusive use of the Homestead with cosy open fires, huge chef's kitchens with double ovens, and king-sized dining table that seats ten. Relax in the library with floor to ceiling bookcases and full sized pool table or in the comfortable sitting room while the children watch TV in the separate family room. There are five large bedrooms - four with queen beds (one has an extra day bed and one with double bunk bed. Two bathrooms - one with large freestanding bath tub and spacious shower. Outside, explore the property, hike down to the creek, feed the pet sheep and meet our herd of gentle Murray Grey cattle. Wildlife abounds including kangaroos, wallabies, many species of parrots, wedge tail eagles and echidnas. For the kids, there is a huge front lawn big enough for a game of cricket or soccer and a tennis court. Close by are some of the region's finest cool climate wineries with regular wine tastings, cafes and restaurants. So whether you're in town to work, to visit Canberra's iconic national attractions or visiting with family why not combine your trip to the national capital with a tranquil stay on a country property that's conveniently close to the city. Please note, a flat fee is charged for the first four guests after which there is an extra charge for each additional guest. We had a fantastic time at Wattagan Homestead. Perfect place to relax with kids. The house was perfect for two families. Plenty of space and everything you need. Only a 15 minute drive to the supermarket and even closer to Hall for a lovely pub dinner and/or a coffee. We were only half an hour from Canberra so we could tick off all of the tourist sights too! Meg and John were very helpful with any questions we had. The property is stunning - we were blessed with beautiful weather. The kids (and the adults!) loved exploring the property and hanging out with the animals, especially the dogs. We could easily have stayed for a couple of extra days. Definitely recommend. We had a lovely 4 days at Wattagan Homestead. The house was very comfortable with a great fireplace & absolutely everything we needed to prepare our meals. The bedrooms were well placed for 2 couples in each wing with a bathroom to share. The owners Meg & John were very accommodating with our various requests & we loved the regular visits from Arlo & her 2 companions who loved all the attention & cuddles! We would thoroughly recommend this property for a relaxing & peaceful getaway. Michelle and her group were a delight to host. Considerate and very easy to communicate with. Our three dogs enjoyed having them to stay as wel!! Welcome to come back any time! This is a glorious place to stay: plenty of bedrooms, and all large sizes, Great areas to eat, read, and just get away. No need to be on top of everyone if you just need some "quiet" time, as there are multiple areas to relax, indoor and out. The scenery is great, and you feel remote but close enough to all amenities to just shop when you need it (and Coles did an online delivery order). The house is very comfortable, and well supplied with everything you need. There were four adults staying (one set of parents and two adult children) and two other adults and grandchildren visited during the day. We were able to cook Christmas dinner in the two ovens (plus microwave) and serve it around the large dining room table. Grandchildren loved being able to explore the property and were pleasantly surprised by the array of toys. Plenty of birds and animals and a very friendly dog (thanks Arlo, you overcame our grandson's fear of dogs). Can highly recommend this property -- it would suit families or a group of friends. You could spend a long time here reading -- a most amazing library with a very wide array of books. It was really great to have the privilege of staying here. 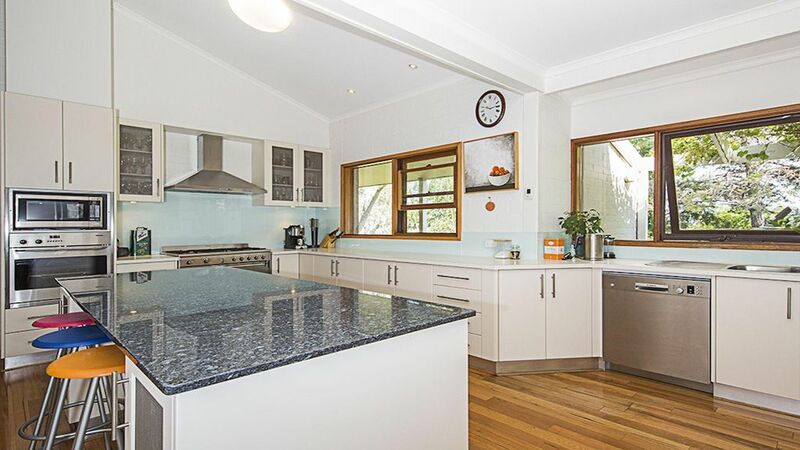 An excellent rural retreat in close proximity to Canberra. A delighful getaway. Very relaxing. Most everything was as described on the website. Megan and John were very helpful and most accommodating. A very impressive book collection. One could easily stay for a couple of weeks to unwind and read. Part of the attraction is that there are no shops nearby so bring absolutely everything. Great for families or a smallgroup. Thanks Kelly. It was a pleasure having you. We loved our 4 night stay at Wattagan! Such a lovely setting and beautiful garden. Plenty of native birdlife as well as cattle, horses and dogs. Fabulously equipped kitchen made catering for our families so very easy. Pool table was enjoyed by all, especially the teens. The library was amazing - so many books! Could have spent the whole time reading. We all had a wonderful time. Highly recommend! Marieka and her family were perfect guests. Considerate, tidy and a pleasure to have stay in our property. Couldn’t be better. We would love to see them again!